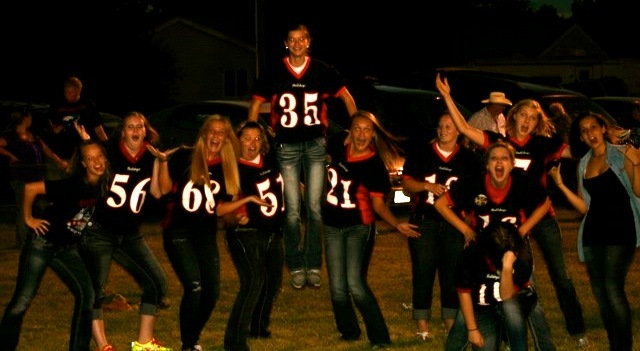 Senior girls being crazy at the football game! 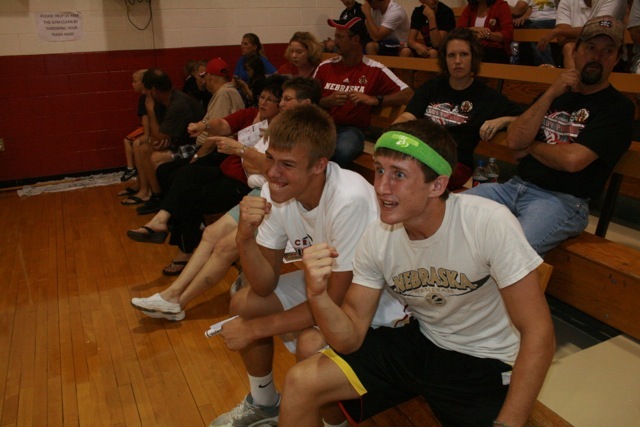 Beau and Jake really getting into the volleyball game! 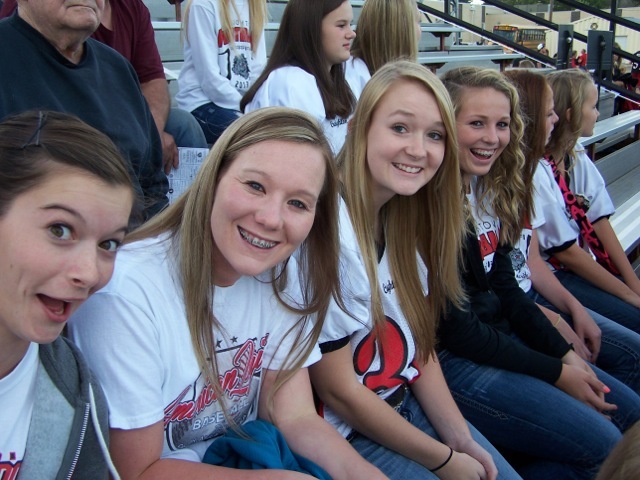 Emily, Paige, Reagan, and Cassidy smile for the camera at a home football game! 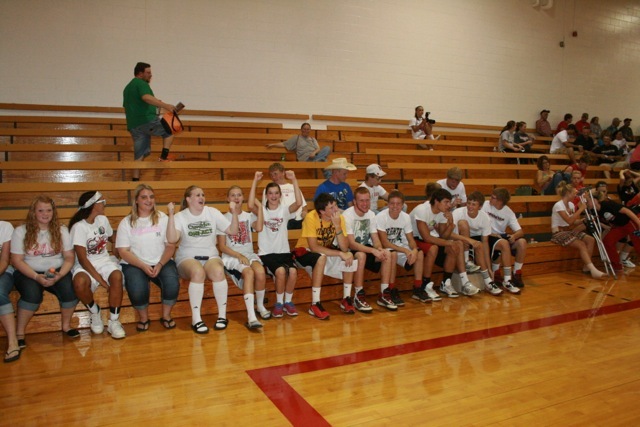 Student section supporting the volleyball team! 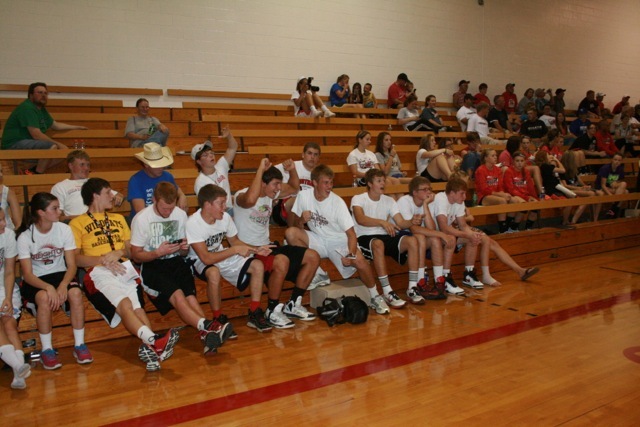 The boys getting into the white out game! 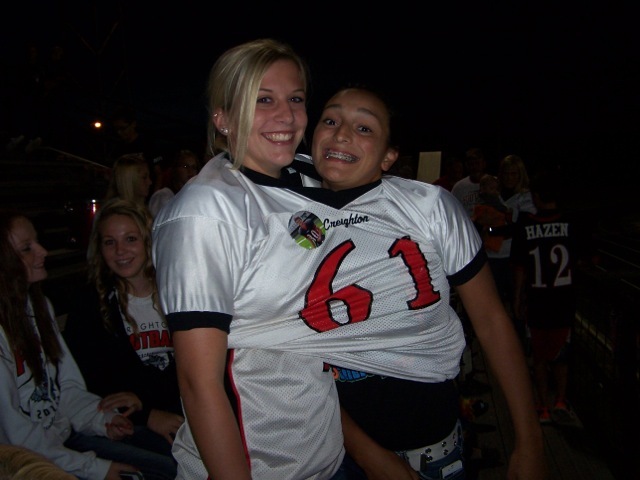 Rebecca and Chasity trying to fit into the same jersey! 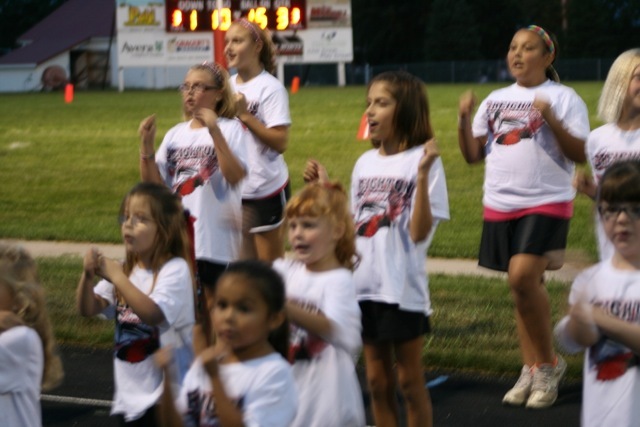 The little girls cheer camp! 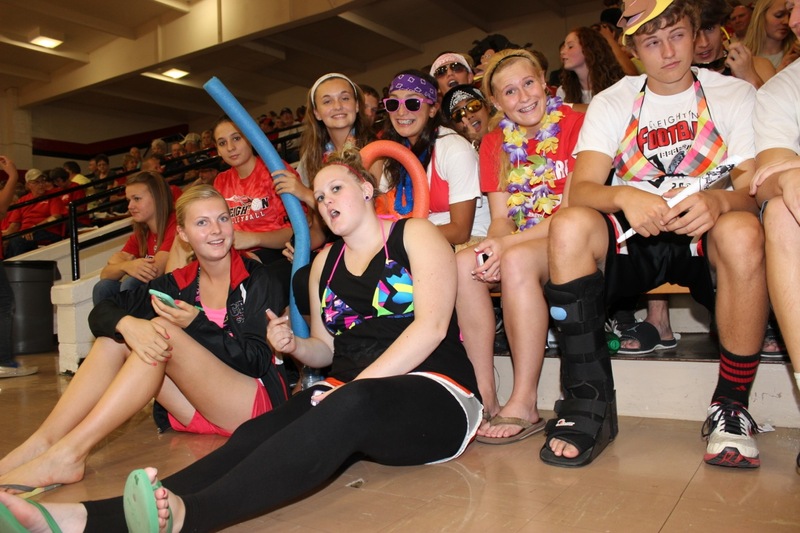 Seniors supporting the volleyball team during beach night! 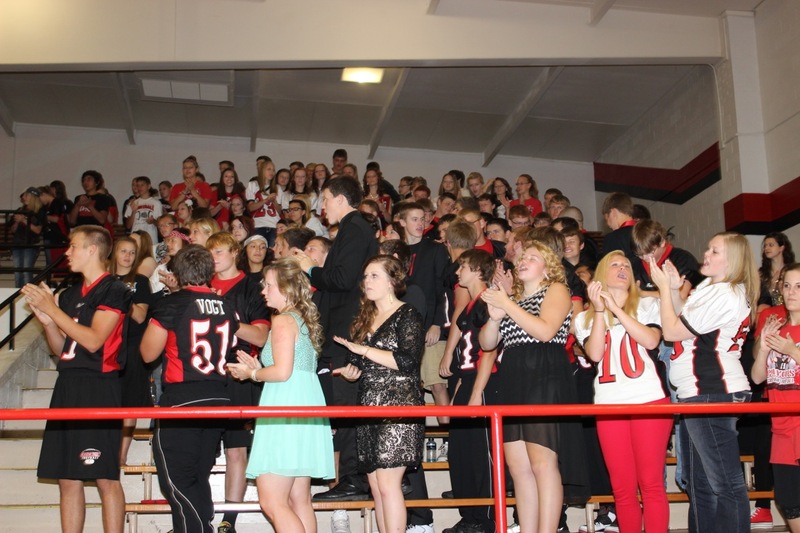 Students at the pep rally for homecoming! 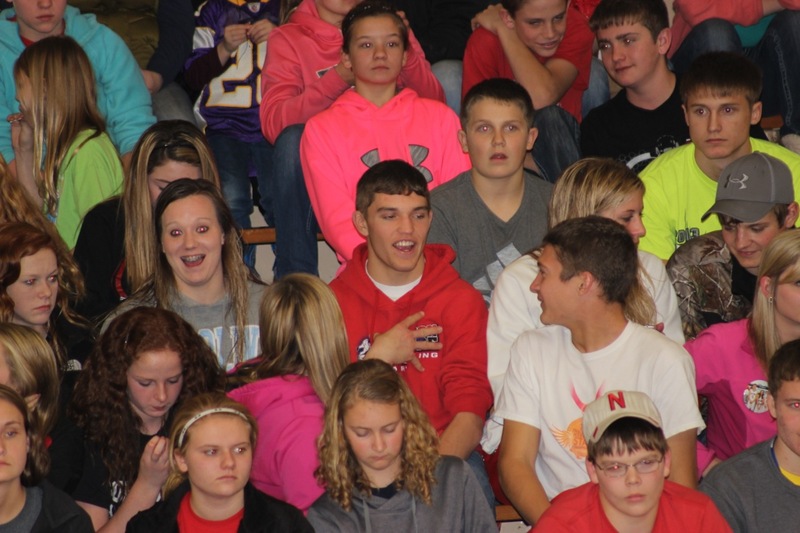 Connor, Taylor, and Sheldon getting excited for the candy! 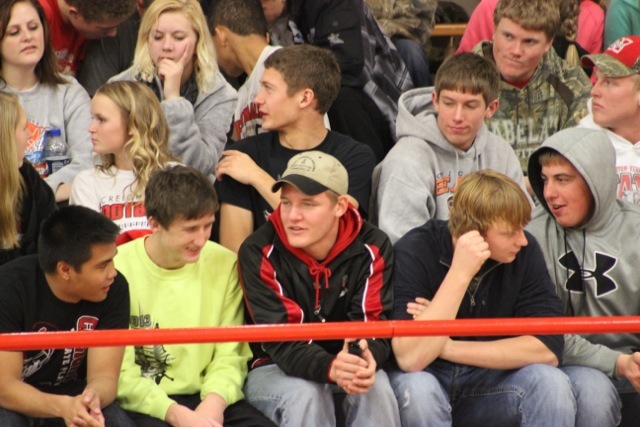 The boys talking during a home basketball game! 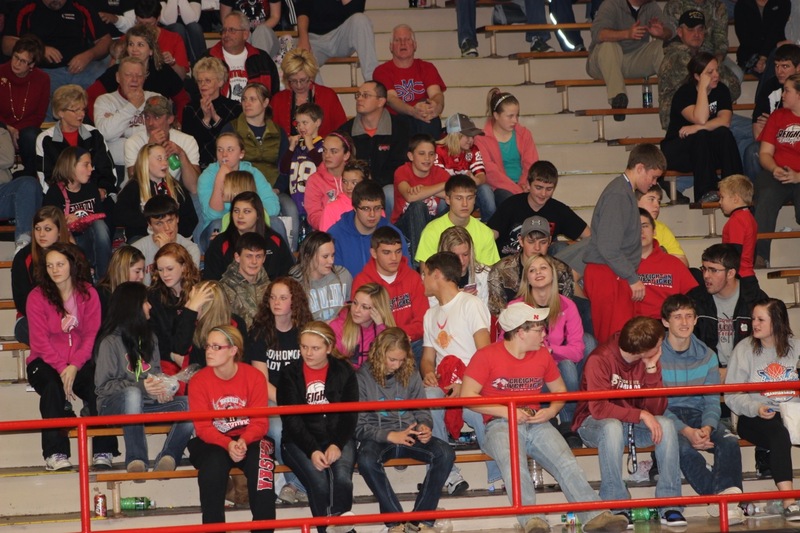 Big student section during the first home basketball game! 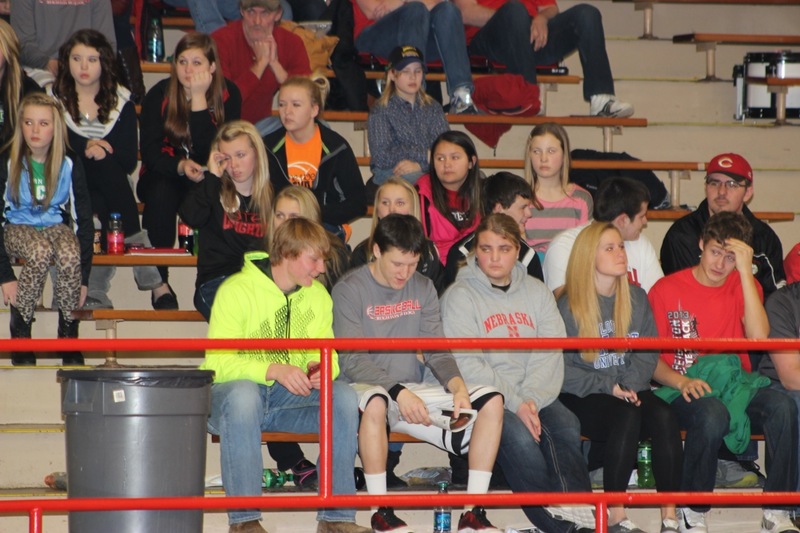 Students taking a break from the game to chat! 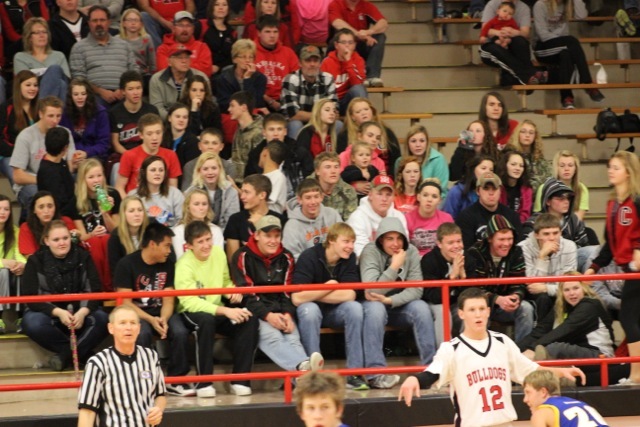 Paige smiles for the camera! 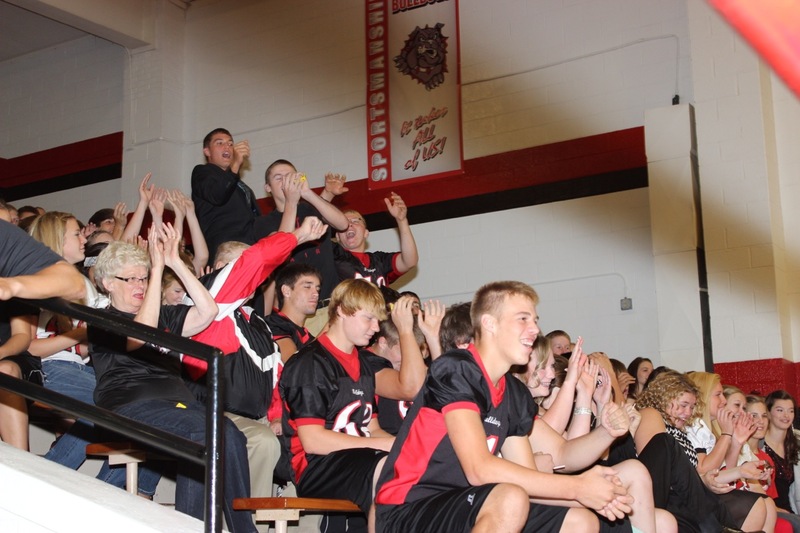 Ian and Justin looking at the program together!